Cleves, September 2018 – Taylor Middle School is very innovative with ideas for student clubs. Students are given opportunities to join clubs that focus on a wide-variety of skills and interests including fishing, chess, volunteering, math, and much more! One of the Clubs offered is Builder’s Club. It is an international student-led organization that provides members with opportunities to perform service, build character, and develop leadership. The Taylor Middle School Club consists of approximately 40 students each year. 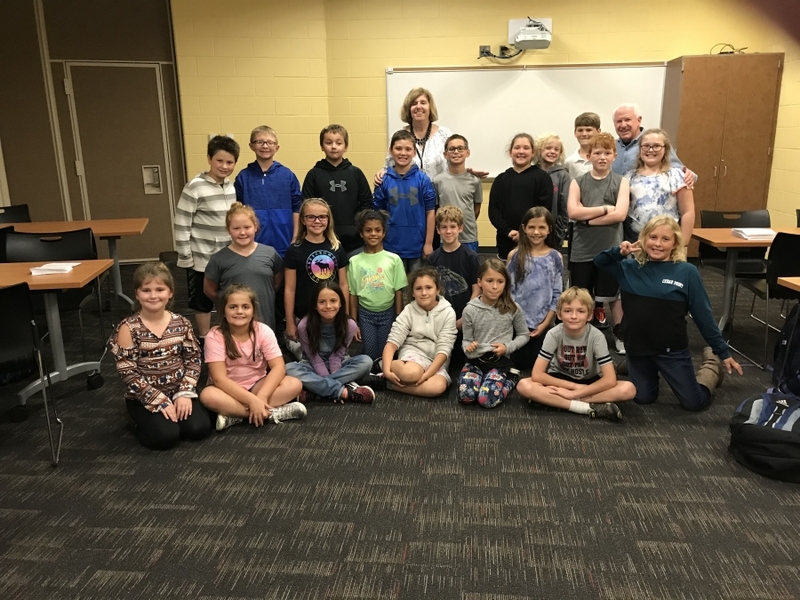 When the Ohio School Boards Association released an Outstanding Volunteer Program Award, Builder’s Club was an immediate nomination for Three Rivers Local School District. Tina Cole, the club supervisor, sat down with the District’s Communication Director over the summer to explain the work of the Builder’s Club; the list was extensive. Throughout the school year, the Builder’s Club works to help with events that support students, staff, and community members at Three Rivers. The Club helps at the annual Princess Breakfast and Breakfast with Santa events to help foster relationships with the younger students and provide them with a sense of community. The students also support our community by serving at the local nursing homes and the Gravelrama event. Additionally, the club volunteers their time with a trash cleanup day, time helping Matthew 25 Ministries, filling and organizing food pantries, stuffing bags for the Ronald McDonald House, and raking local yards during their annual Rake and Run. In correlation with Taylor High School’s Key Club, Builder’s Club has also started expanding their resources to children all over the world through Operation Shoebox and is able to provide shoeboxes filled with essential items. The Club will be recognized at this year’s Southwest Region’s Annual Meeting.